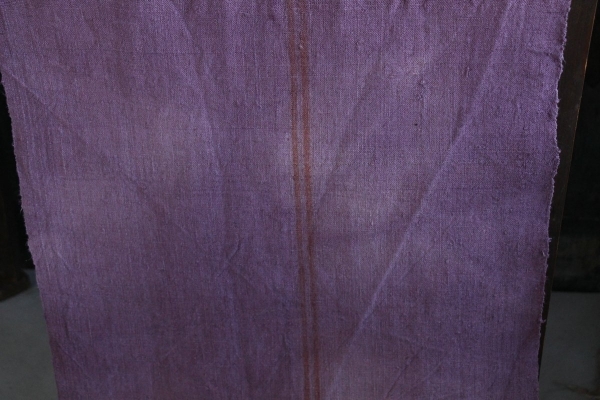 This amazing roll measures 6.77 yards by 21.26 inches. Tthis fabolous roll measures 6,2 meter by 54 cm. 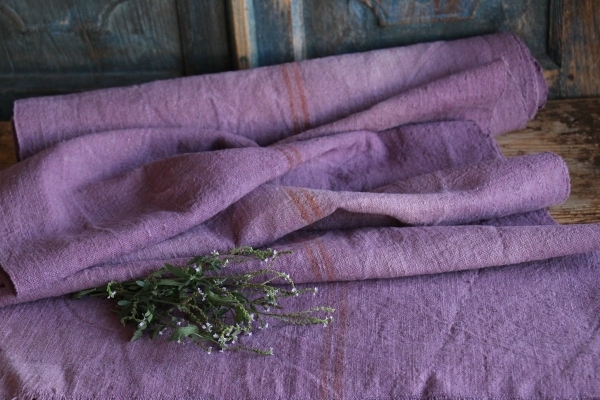 This fabolous , absolutly wonderful linen roll has a wonderful dense and close weave with an amazing more medium weigth - CLASSY and ELEGANT looking texture, this handmade linen is extremly durable, wonderful for a GUSTAVIAN styled room. 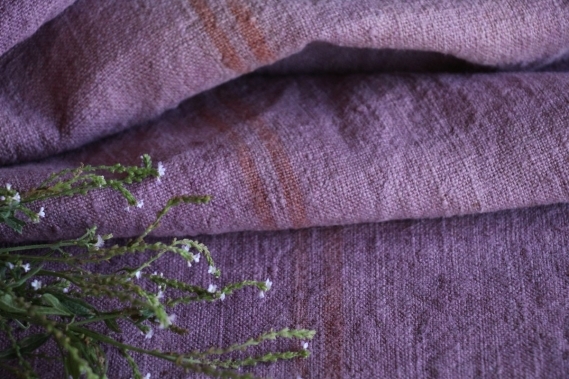 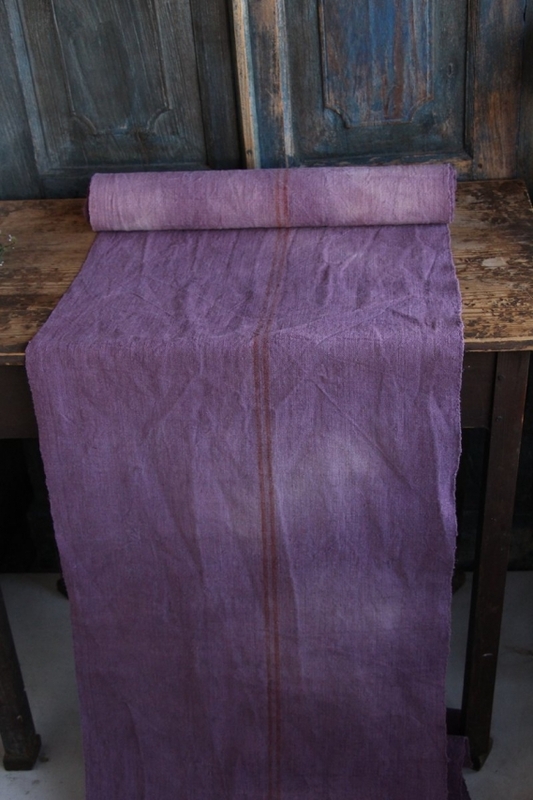 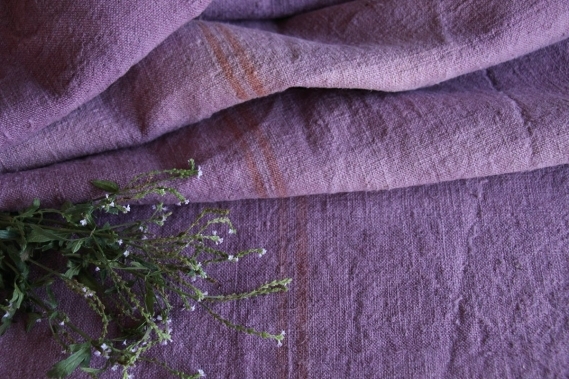 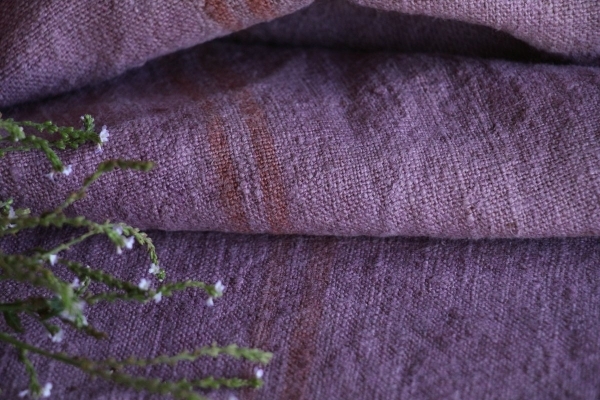 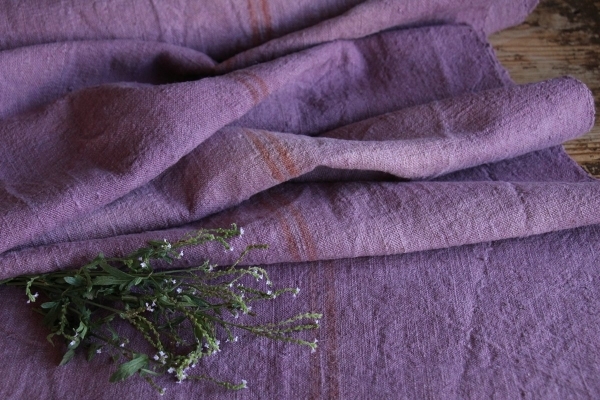 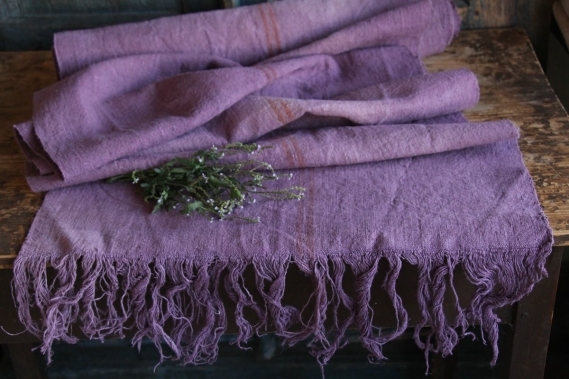 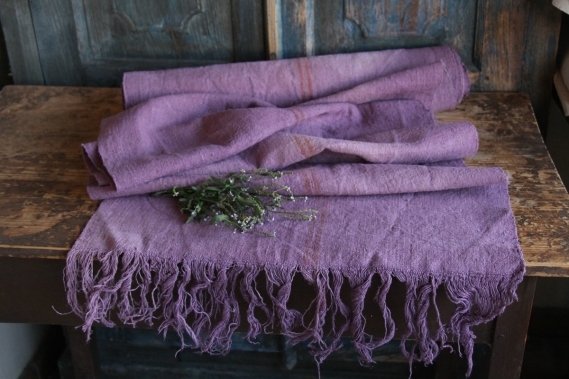 We have carefully dyed this roll with a awesome LILAC color , which LOOKS SO AMAZING , and there is a so beautiful CHERRY RED STRIPES , this is really a treasure. PLEASE NOTE: BECAUSE OF THE DYING THE COLOR IS NOT QUIT UNIFORM; you can see it at the last pictures!